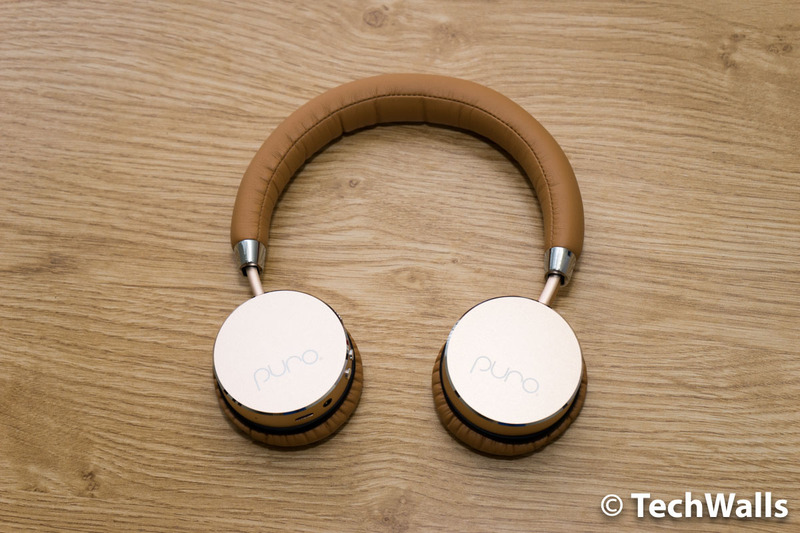 I’ve tested dozens of headphones but the Puro Sound Labs BT2200 is the first one built for kids. So how does it protect their ears and will the feature make it an exciting gift for your children? The product has a simple packaging. After opening the box, I immediately see a hard carrying case with the headphones inside. Besides, you can also find a charging cable, an audio cable and user guide. 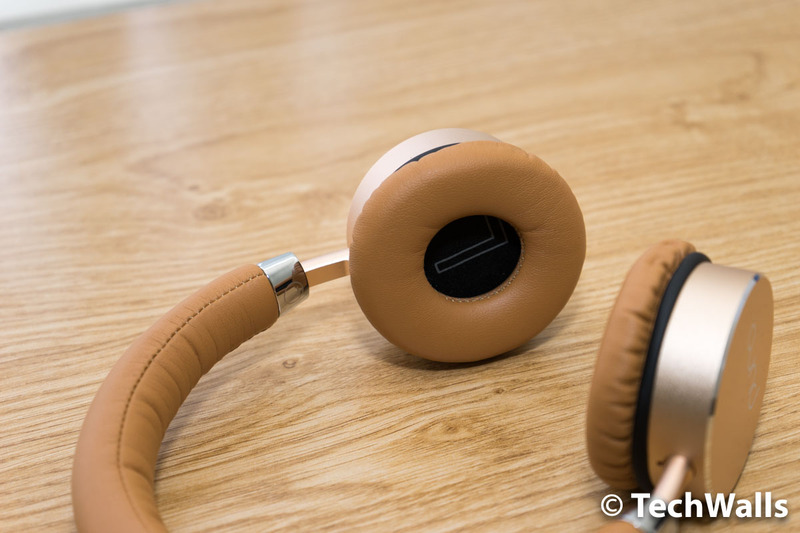 The headphones look quite attractive in gold/brown color. They use leatherette covering headband and earpads, and aluminum earcups. The materials seem to be similar to the Master & Dynamic headphones I reviewed lately but they are actually quite different. The Puro headphones feel good and don’t look like cheap headphones, but the design and build still can’t compete with more high-end cans. These are Bluetooth headphones, so you can easily pair it with your smartphone and listen to music wirelessly. The Bluetooth range is quite good in my test. The Bluetooth button can be found on the left earcup, along with the built-in microphone, volume rocker, power switch, charging port and audio jack. Another nice feature that Puro advertised is ambient noise attenuation that can block 82% of sound at 1 kHz. 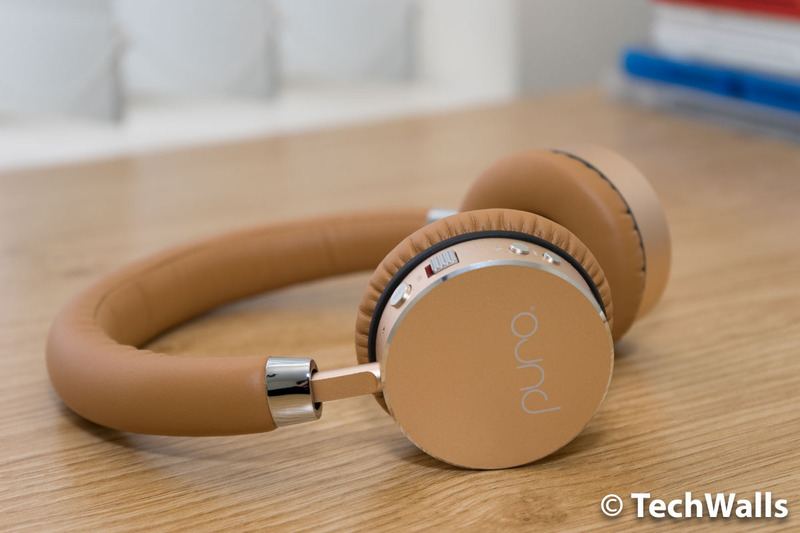 Many people thought that these are active noise-cancelling headphones but they are actually not. They use just the cushion and closed-back design to block noise, so the performance is not on the same level as the Audio Technica ATH-ANC9 ($152) or Bose QC25 ($299). The battery of the Puro BT2200 is great. I managed to use the headphones for a whole week without the need for charging. The battery life is rated at 18 hours. The headphones are lightweight and quite pleasant to wear for long listening sessions. My ears only started feeling uncomfortable after wearing them for about 2 hours. I was excited to try the Puro Sound Labs BT2200 because it is not cheap and more importantly, it is said to deliver a studio-grade sound. Unfortunately, there are a lot of compromises during my listening sessions. 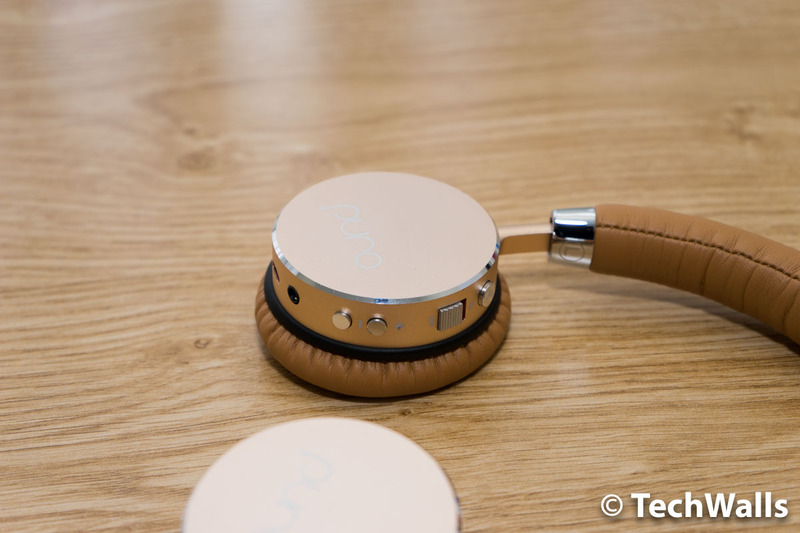 Puro is smart to decrease the maximum volume of the headphones, it is limited to 85 dB. Even at a moderate volume level, I still can hear some distortion. Besides, there is a consistent buzzing sound when I listened to music via Bluetooth. However, remember that the headphones are supposed to protect your child’s hearing. Therefore, they are not loud as most other headphones, even when I turn the volume all the way up on both my phone and the headphones. So, you can’t easily detect the sound imperfections at the suggested volume level. The treble is kind of disappointing as the high frequencies are seriously recessed. You won’t be able to hear a crisp and clear treble and bright sound on the Puro. Moreover, the mids are a little laid back due to the overwhelming bass. The bass is quite prominent even at low volume, so I didn’t really enjoy my music sometimes. The Puro Sound Labs BT2200 is actually a good choice for your kids as it is durable, produces a fun sound and doesn’t damage their ears. I recommend this product if you can buy it for less than $50.